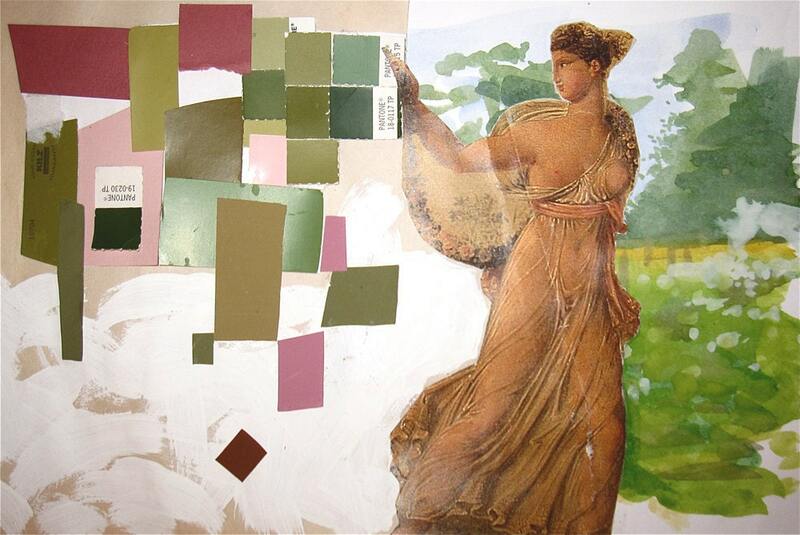 Saved swatches, found imagery and painted vistas in watercolor combined magically to produce this collage of post renaissance feminine beauty and contemporary biology. It would look lovely in a boudoir or powder room. See second thumbnail photo for idea of framing and what it would look like with the other sister collages made at the same time. This sale is for one original Artwork.